This is going to be tough. Video game adaptations come and go, mostly in a haze of their own dusty farts as they are tossed on the rubbish pile never to be talked of again. Those of us that love both films and games tend to watch them pass by with yet another feeling of bitter disappointment, as yet more of those games we love are mistreated and bastardised in the worst ways imaginable for the sake of a few multiplex dollars. 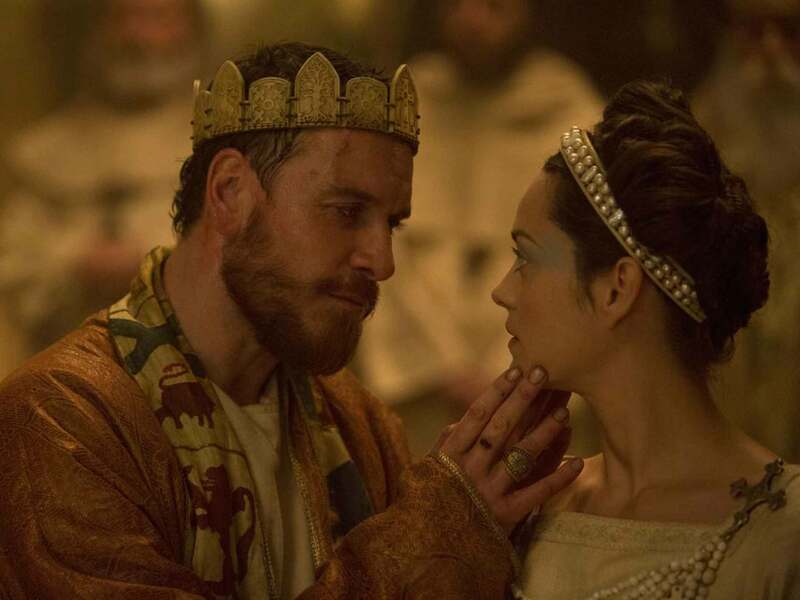 After last year’s blandly inoffensive but annoying Warcraft adaptation, Macbeth director Justin Kurzel found himself with the hopes of game lovers everywhere pinned to his part sci-fi, part historical action film, Assassin’s Creed. This is especially true when it came to me, a self-confessed Assassin’s Creed super-fan who has adored the game franchise since it first appeared in 2007. A convicted murderer sentenced to death, Callum Lynch (Michael Fassbender) wakes up from his apparent execution a prisoner of the Abstergo foundation, the modern day incarnation of the ancient Templar order. Forced into the Animus, a machine that allows a person to relive the memories of their ancestors, Lynch finds himself in 1492, living the life of his Assassin forefather Aguilar de Nerha, the last known protector of an artefact dating back to the origin of mankind with the power to control free will: The Apple of Eden. As his sessions within the Animus continue, Callum finds himself becoming an Assassin. His memories and his ancestor’s skills bleed through to his present day self allowing him to harness the training Aguilar has both inside and outside of the machine. Under the guise of this program, being secretly run by Dr. Sophia Rikkin (Marion Cotillard) under the guidance of her father, Alan (Jeremy Irons), Abstergo is holding dozens more ancestors like Lynch as a collection of failed experiments, that they hope they have seen the end of now the Spanish assassin’s relative has arrived in their lab. Little do the Templars know that the captive brotherhood is not only plotting their escape from the facility, but planning to stop Lynch’s travels to the past from succeeding. Between early reports that the film was badly balanced between the historical and futuristic scenes (not completely unlike the games, to be frank) and reading some poor early reviews, my expectations were severely lowered in the months leading up to this latest game-to-film release. Maybe that helped the film a little. There was never going to be any denying the prowess of everyone involved in the making of this movie, Kurzel and his composer brother Jed set almost every scene beautifully. Justin brings a veteran director’s gaze to a property that previously would have been handed over to a nobody just to churn out a film hoping to make back a few quid on the game they’d licensed – or worse, handed it to Uwe Boll. It’s a game series deserving of a quality helmer and I think it got that in Justin Kurzel. Aside from a bizarre choice in music for the film’s opening shots in Inquisition era Spain, his brother’s score does a magnificent job of elevating the direction to epic heights. At least, for the second half of the movie. The opening hour feels like it’s dragging far more often than it feels well paced. A boring slog introducing elements – that need explaining to those in the cinema not savvy with the world so many of us have invested years of our lives in – almost kills the film dead in its tracks. It’s worth noting I saw the film with someone with absolutely no idea about about the game series, who said something very similar. And while that information dump and the very cool looking new Animus are appreciated, it came dangerously close to sending me to sleep. A glacial opening to set the scene and tone is all well and good, but this went on far too long and the closing fifty minutes worked very hard to send me out with a positive outlook on the film. And, for the record, I did walk out with a positive outlook. Fassbender’s performance as the convicted murderer and his Assassin ancestor is a load of fun to watch. Any stunt double work is well hidden as his parkour moments and hand-to-hand combat are well filmed and excellent to behold. Excluding an absolutely mental moment as the film tries to convince us that Callum is losing his marbles as he breaks into song, his character was convincing and entertaining. Whether or not you think Mr Fassbender is stepping down a level or two to be in a video game movie, he still does a grand job. Similarly, Marion Cotillard does sterling work as the scientist out to do good things with her time. Her, and her chemistry with Lynch, are very good and again, feels like she’s giving it her all in a film that wouldn’t necessarily deserve it. Sadly, Jeremy Irons and fellow inmate Michael K. Williams seem to be phoning in their performances; showing little to no care for what they are doing. Overall, I did enjoy my time with Callum, Aguilar and Assassin’s Creed. But it’s not without its troubles. The aforementioned pacing issues and glaring problems with some music choices are at the top of a list that also includes a lack of care and attention to the source material; admittedly something only fans would see, but you made this for us, so treat us with a little respect. A slightly above average film that I really enjoyed, but star power and fan service doesn’t make a great film without a little more substance. I would imagine someone with no familiarity with the games would get very little from this film, as pretty as it is. Keep your eyes peeled on the Failed Critics and Character Unlock feeds in the coming week as we dissect Assassin’s Creed as a franchise before we review the film. Is this a dagger I see before me? No, it’s just this week’s triple bill edition of the Failed Critics podcast! Acclaimed Glaswegian author Escobar Walker debuts alongside noted-neds and podcast regulars Steve Norman, Owen Hughes and Paul Field, to review the Scottish play-turned-movie Macbeth and to each pick their three favourite films from north of the border. We kick things off as we always do with a quiz,one that is – yes, you guessed it – Scottish themed. Before that though, we have a short pre-credits intro that should give you an insight into just how depraved and filthy the combined minds of Paul and Esco can get. You have been warned. With no other new releases to review this week, and no ‘what we’ve been watching’ section, we devote more time to our review of Macbeth than Paul spent awake during his entire short cinema trip to watch director Justin Kurzel’s big-screen Shakespearean adaptation. To wrap things up the team share their three favourite Scottish movies. Alas, this might be a spoiler and maybe even come as a shock or disappointment to a few of you, but nobody picks Highlander, Braveheart or The Wicker Man. I can only apologise, but we do find some other real classics to talk about instead. You can join Steve and Owen again next week where we’ll have more guests, presumably less profanity, and reviews of Suffragette and The Walk.